Xiaomi’s Redmi Note 4 wants to realign your perceptions. The Xiaomi Redmi Note series enters its fourth iteration, with a new premium build quality and a high specced CPU. The Redmi Note 3 sold in its millions and is still very highly regarded among import phone enthusiasts, let’s see how its replacement improves on this. The Redmi Note 4 comes in 2 flavours, Standard (2GB RAM, 16GB Storage) and Pro (3GB RAM, 64GB Storage) and we’ve managed to get our hands on the Pro version for this review. Gold version is distinctly pink! 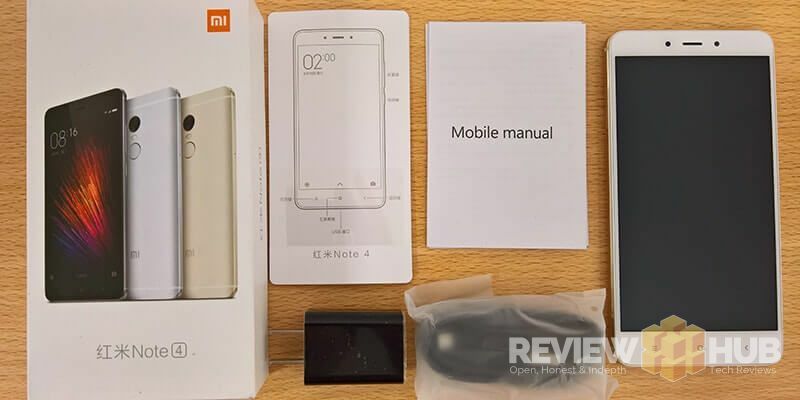 The Redmi Note 4’s box is relatively compact and contains only the bare essentials, being the phone itself, a USB cable for charging/data transfer, a couple of unnecessary manuals and a non-UK power plug. 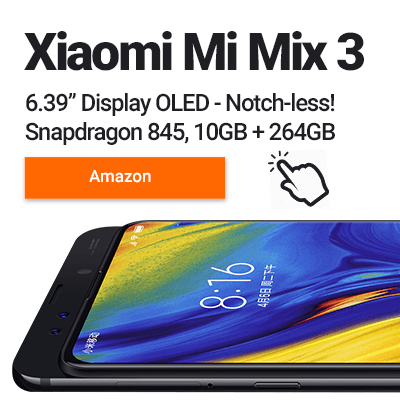 While it would have been nice to see a case or a pre-applied screen protector these are easy to source as Xiaomi phones are well represented in the aftermarket area. I picked up this set that does the trick nicely. 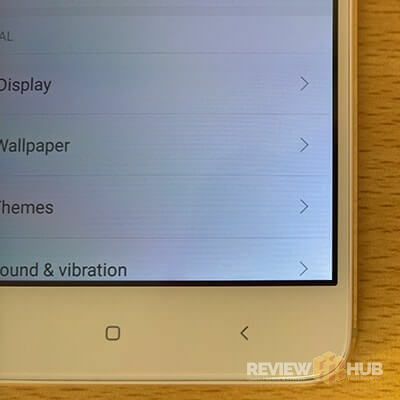 The 5.5″ full HD display that the Xiaomi Redmi uses is fantastic. Contrast levels are high, colour reproduction is generally very accurate and there are adjustment options for brightness, contrast and colour temperature. A full HD resolution gives us a pixel density of 401 pixels per inch, which is more than respectable and ensures images are crisp and text sharp. 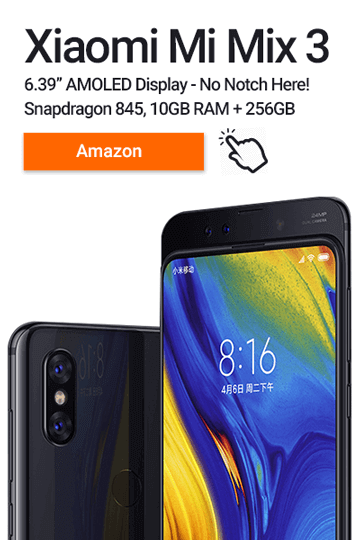 The visible bezel initially seems very slim, however Xiaomi blot their copybook by employing the ‘double bezel’ trick, and when you wake the screen you’ll see that there is a further border of around 1mm that isn’t visible when the screen is off. I don’t like this ploy as it feels a little deceitful and will continue to highlight this negatively when I come across it. There is the welcome addition of the ‘reading mode’ feature which omits the blue light emitted by the screen. This is supposed to help when reading at night. It can be turned on or off manually, or set to be active all the time for specific apps. Sunlight legibility takes a hit because the screen is quite reflective, but as the Redmi has such a large battery you can just set the brightness a little higher and this compensates. A final point to note is that the controls are off-screen so the full 5.5 inches are usable at all times which is an added bonus. Xiaomi has certainly upped the stakes when it comes to the design and build quality of the Redmi Note 4. This phone oozes class and represents a massive statement of intent within the mid-range section that the Redmi phones operate in. The first thing that you notice is the full-metal unibody, with injection-moulded antennae that makes the Redmi 3 series look very clunky in comparison. 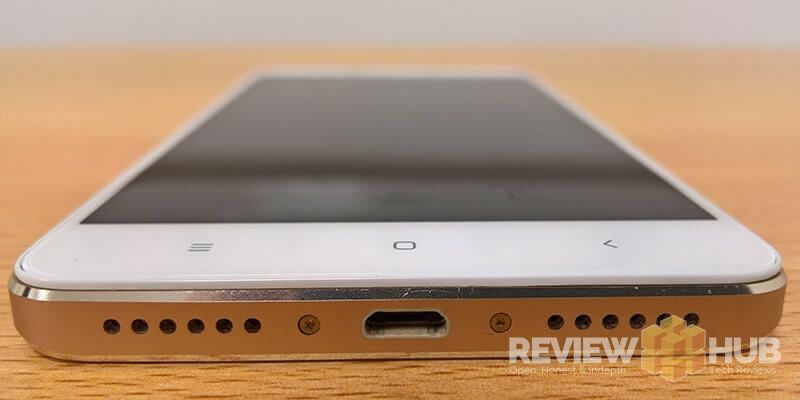 At the bottom of the phone are the USB charging port and 2 speaker grilles, though only one contains a speaker – the other seems to house the primary mic. I was slightly surprised given the otherwise premium design of the phone that Xiaomi didn’t see fit to put a USB Type C charging module into the Note 4, but on the other hand at least I can charge the phone wherever I am and not have to worry about taking a USB C cable everywhere. The power and volume buttons on the right-hand side feel reassuringly robust and fit well in the frame with no lateral movement, and the perimeter of the phone has the trendy diamond-cut beveling that we’re seeing on many new devices. The dimensions of the Note 4 are reasonably compact for a phone with a 5.5 inch screen, and at a verified 175g it’s noticeably lighter than other similarly sized devices I’ve come across. Another major plus point for the Redmi is the addition of back lights in the off-screen navigation buttons. This is the first ‘budget’ phone I’ve had which includes this and I hope it goes on to be a standard feature on import devices as it makes life much easier and again adds a feel of quality to the Note 4. One observation though, the rear of the gold model definitely has a slightly pink hue. I wouldn’t go so far as to call it ‘rose gold’, but this is definitely something to consider if you’re looking at this colour scheme. 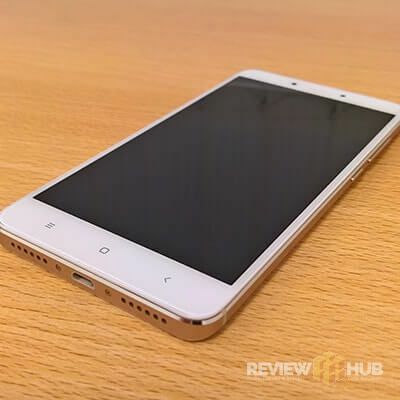 This version Redmi Note 4 is powered by the very capable MediaTek Helio X20 CPU. We’re big fans of this chip here at Review Hub as it delivers high-end performance on a budget, doesn’t seem to suffer from overheating and is very frugal with battery life. The Helio X20 is combined with 3GB RAM meaning the Redmi is well-equipped to make light work of any task. I thought I’d mix it up in terms of game testing so I loaded Football Manager 2017 with a large database and had no problems with all that number crunching. The 3d racing thrills of HotWheels Race Off looked and played smoothly and I was able to set the highest graphical options on Crashlands with no adverse affect on gameplay. Benchmarking only tells us so much, and I’m getting increasingly dubious about the value of these tests as the results seem to vary even on the same device, however, the results do seem to back up my experience with the Xiaomi Redmi Note 4 Pro being a very dependable performer. The Geekbench scores are surprising against the HomTom HT10, which shares the same CPU, but the extra GB of RAM that the HT10 has explains the Antutu result. The Snapdragon 820 powered Xperia Z5 brings up the rear in these tests which is another testament to the Helio X20’s punching power. The Redmi came with MIUI 8.0 Global ROM, running on Android 6.0. There is a more detailed look at this version of Android in my review of the Redmi 3S, but to summarise this is an IOS-esque implementation with no app drawer. This is a source of great debate among Android users, with many preferring to install a different launcher to give a more familiar layout. Personally, I like MIUI, it has a lot of extra features which I miss when I use devices on a vanilla Android such as the customisable shortcuts and data transfer speed in the notification bar, and I also think that the general look and feel of MIUI is much slicker than standard Android. Call quality was a little poor both in both directions. The positioning of the main mic in the ‘fake speaker’ at the bottom of the phone meant that I had to hold the phone in a very specific position otherwise the other party couldn’t hear me properly. Also, there was slight distortion evident from the earpiece if it was turned at full volume. The main speaker was reasonably loud for music, but as with most phone speakers it’s lacking in any real presence. Calls on the loudspeaker were fine in quieter environments, but it wasn’t really loud enough to use as a hands-free setup while driving. The Samsung S5K3L8 camera module on the Redmi Note 4 is capable of producing good photos in most situations. In well lit conditions the images are clear enough with accurate colour reproduction but when the light starts to drop slightly the images have noticeably less definition – though in the mid-range market segment they are still acceptable. 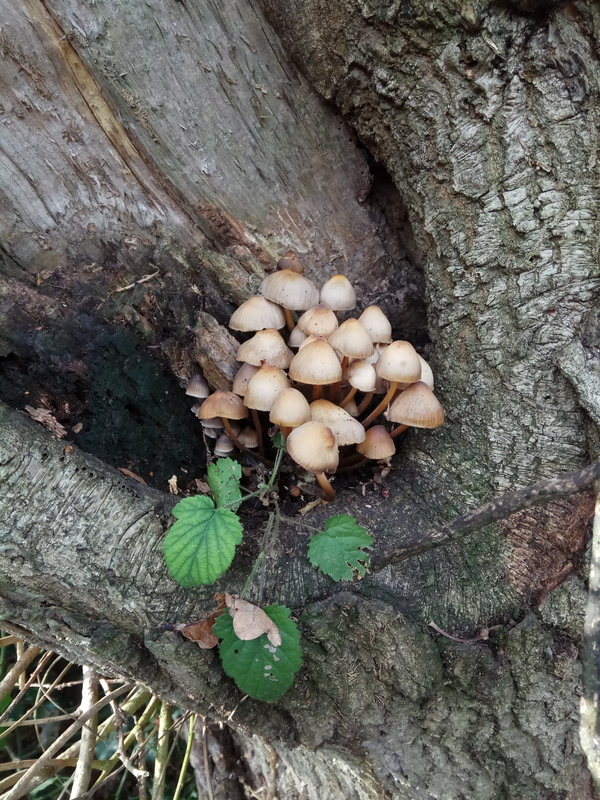 Something that is apparent is that the photos captured by the Note 4 do tend towards being somewhat soft, and if you look at some of the sample images in the link below you’ll spot this. The performance of the camera is reasonably consistent though, and you should be confident that you’ll be able to get good shots in most situations. In my sample images I’ve tried to provide differing scenarios, outdoors, low light, night time etc so you can draw your own conclusions. Video quality was good enough but not spectacular; however, I was happy with the sound quality in the videos, which was better than many of the devices I’ve recently reviewed. The Note 4 uses the same monster-sized battery as the Redmi 3S, clocking in at a very generous 4100 mAh. Battery life is not quite as good at the 3S, but that is understandable as the Note 4 has a bigger screen operating at a higher resolution. In use I was easily able to get a minimum of a day and a half between charges, which is very good for a device of this size and weight. There is also fast charging, of the 5V/2A variety, so the phone takes a little over 2 hours to charge from flat which, given the size of the battery, is more than acceptable. The main point to be aware of with the Note 4 is the lack of Band 20/800MHz which means customers of O2 and MVNOs such as GiffGaff, Lyca and Tesco Mobile won’t be able to use 4G services – if in doubt please check here. Wireless worked well and the inclusion of 802.11ac is a welcome feature for a phone in this price range. Bluetooth connected quickly and worked fine in my car for both music and phone functionality. 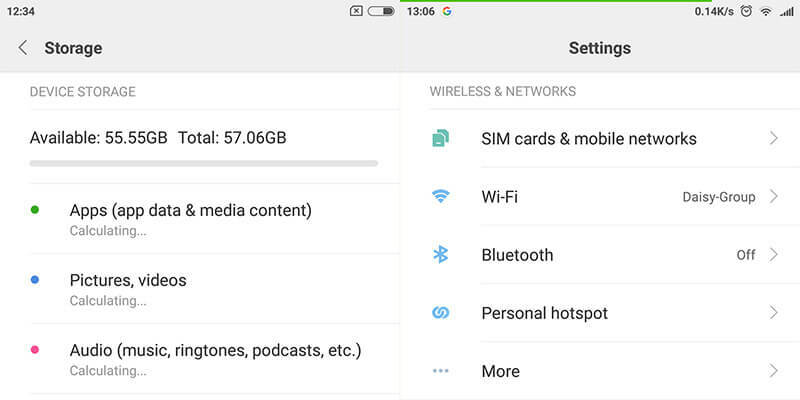 The Low Energy (LE) feature of Bluetooth 4.2 means that battery use is lessened when Bluetooth peripherals are connected which is another bonus. GPS worked flawlessly and the phone linked well with Android Auto to provide satnav functionality. NFC isn’t present, as in many import devices, so Android Pay is not supported. The Redmi Note 4 Pro has a lot going for it. It looks great and the Helio X20 CPU performs fantastically well. 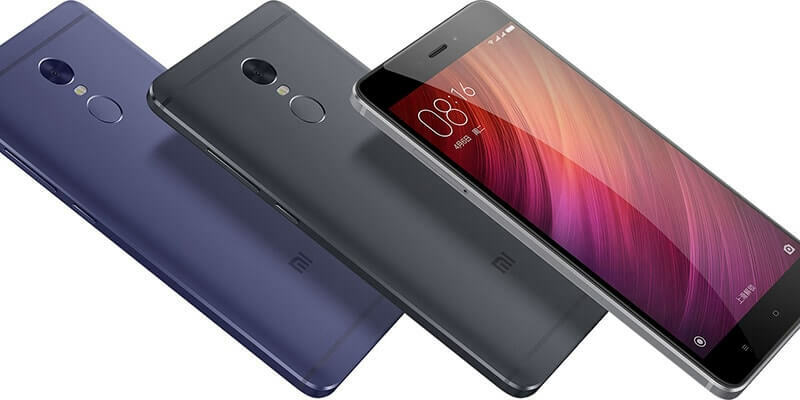 A lack of NFC and 4G Band 20 might be an issue for some but these are only minor niggles, with the evolution of the Redmi series Xiaomi looks to be trying to make every other phone in the mid-range section obsolete, and in my view it does a fantastic job of this. 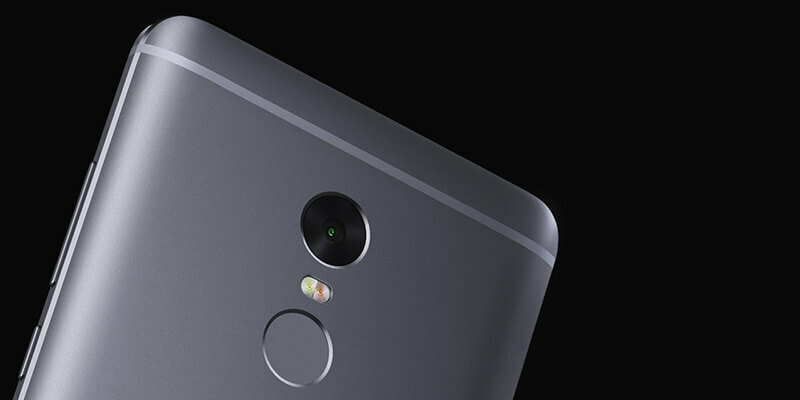 I’d love to hear what you think about the Redmi Note 4, please add any comments below! A fantastic device that features great build quality, performance and battery life. The Redmi Note 4 redefines the mid-range and is a challenge to all other phone manufacturers.